You have just received your first puzzle swap. This is probably the most important one as your rating points are based on this swap. Step by step instructions for your return are below. For now, just read through this page so that you will be more clear with what will be required and why so that you can complete the swap. Unless you have already initiated a swap, your name is temporarily removed from the recipients list. This is because we have found that several new members do not return puzzles. To keep our members from continuing to send puzzles to those who choose not to return them, we take your name off the list until you mail your first puzzle back. It is a way that we safeguard our long term members from loss. Once you file a return shipment notice and include a tracking number, we can verify that the puzzle is indeed on its way. You will return to active status again with your initial rating points. It is simply a precaution and nothing to be concerned about. So the important thing to do is get a puzzle into the mail and on its way to the sender. You will find the links to the majority of forms that you will need on the exchange page and we will provide all of them on this page to help you with the process. The first thing you need to do is open your package and see what they sent you. Check the shipping notice, do they want the same piece count or puzzle count? Or both? If you got a 500 and a 750, then try to send them back a 500 and a 750. If you can’t, look at their preferences on the recipients list and see what they agree to accept. If they are not in the 1000-2000 group, don’t send a 1500. Sometimes they will include a note in the comments section to help you with the return. Also look at the quality that they sent. Are the pieces thick and good quality? What is the manufacturer name? If it is a Ravensburger, it is very good quality. Puzzle Bug? Probably from a low end store. Try to send a puzzle back to them that is the same brand if you can. Most times this will be difficult. Try to send the same quality of piece (thickness, size, etc.). If you can't send equal, send BETTER quality. Now for your rating points. Your points are calculated starting on the day after delivery. So if you mail your puzzle back the next day after delivery, you will get 5 points. For each day that you wait, you lose .1482 points. You have 30 days to mail one back. On the 31st day, your points will be reduced down to 0 (but we give you 1 if you return one). You must file a return shipment form and must include a tracking number. You will lose half your points for failing to do so. This is the most important swap because we average all your swaps in with this one score and so this initial rating is the most important. In addition, we give you 5 Quality Rating points. If you send a puzzle that is substandard or we receive a complaint about the puzzle quality that you returned, we will subtract 1 point each time a complaint is filed. Make sure you put the puzzle in a zip lock bag and include a puzzle journey sheet. Write your name, city, state, country and date on it. This will help keep this puzzle from coming back to you. You can also look at the puzzle library and see if the sender has requested any puzzles from the library. Some times there are duplicates in circulation and if you have one that they want, by all means, write the library number on the box and send it to them. That makes selecting a puzzle really easy. We hope that this information has been a help to you and that you enjoy the puzzle exchange. So many of our members have been with us for quite a while and are enjoying the swapping process. If you have any questions, please let us know. Step by step intructions on how to return a puzzle in an exchange. 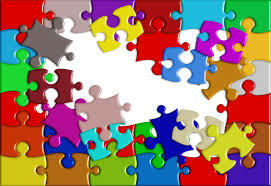 Select a comparable puzzle to the one you were sent that you would like to return to the member. Take notice of the brand, number of pieces, number of puzzles, etc. Place the pieces in a 1 gallon plastic ziplock storage bag. Some puzzles that have small pieces or are 500 pieces or less can be placed in smaller plastic bags. If the box gets damaged and torn in transit, your pieces will not be spread from VA to FL as has happened on one particular incident. You need to include a puzzle journey sheet in the box. This sheet tells where the puzzle has been and who has worked it. NEVER, send a puzzle to a member whose name is on that journey sheet. Print one of the sheets from these links (Color or Black and White) and write the your name, city, state, country and today's date. A typical box with a top and bottom is usually sufficient to withstand shipping. Please wrap it in brown paper and seal it with clear shipping tape. Some puzzle have poorly constructed boxes, Ceaco is one of these brands that sometimes use a cereal box like container. We have found that these boxes do not ship well and after a couple exchanges, become crushed and flimsy. It is best to put these boxes in another box prior to shipping. If you are sending more than one puzzle at a time, use a larger box that will hold them all and use a filler to keep them from moving around inside the box. We have a shipping label that you can use if you like. Print the form Shipping Label, fill out the sender and recipient information and then apply it to your package. Completely cover the label with clear packing tape so that it does not tear and get removed during shipping. Take your package to the Post Office or other shipping service. We have found that it appears to be cheaper to use USPS than FedEx or UPS but you may use any service you wish. Some members have said that they save money by using the online stamps option like Stamps.com or buying stamps through USPS.com. Make sure that you get a tracking number for your package, USPS First Class mail DOES NOT included tracking. Puzzles sent without tracking numbers will NOT get credited with rating points because it entails more work for the administration of JPSE. Use this link to submit a Return Puzzle. This form is very important as it alerts the sender that a return puzzle is coming to them. It also provides the information necessary to calculate your Timeliness rating points. Failing to submit the form will cost you half of the points earned on this return which is crucial to your overall Timeliness Rating. Once we have recieved the swap form, we will send an email to both you and the swap initiator with the details of the swap. Tracking notices (if USPS) will begin for the recipient. Any correspondence concerning this swap should include the swap number. The swap will be recorded on the Transit Board so that you and the recipient can see where the package currently is or if there is a problem with delivery. The swap will drop off the board once it has been in Swap Complete status for 7 days. © 2019 A Blonde Moment Marketing, LLC. All rights reserved.